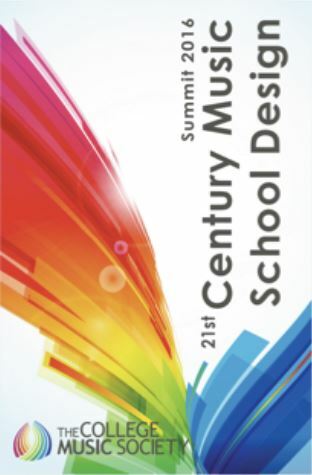 The 2016 CMS Summit: 21st Century Music School Design was held Friday-Sunday, June 3-5, 2016, at the University of South Carolina School of Music and its SPARK: Carolina’s Music Leadership Laboratory in Columbia, SC. The summit was co-sponsored by Yamaha Corporation, NAMM, and Artist Works. Most college music educators agree that due to our living in an era marked by disruptive technological change and a continuously shifting arts landscape changes must be made to keep schools in alignment with contemporary society and 21st Century realities—while innovation is not inherently positive, it is inconceivable to imagine a relevant music school frozen indefinitely in time. While optimal solutions are far from clear, the Summit content was designed to offer participants an interactive experience with these principles, and to result in outcomes which may not only possibly impact the institutions from which the participants came, but also inform future summits that focus on these same, or emerging, principles. How can we balance the traditional and important goal of artistic excellence with issues like entrepreneurship, leadership, creativity, wellness, and career success? Is it important to have relative uniformity between schools, or should each music program define a unique vision and curriculum? Which learning objectives are most relevant for contemporary students? How can we create a more entrepreneurial and flexible institutional culture? Which innovative approaches that stress 21st Century values have already been effectively applied to core curricular classes (lessons, ensembles, theory, history, etc.) by faculty across the county? Which options have been successfully pursued outside of the core curriculum (elective courses, extracurricular offerings, minors and certificate programs, partnerships with other wings of the university) to emphasize such elements? What technology-based opportunities help music programs have greater reach, impact, and efficiency? What role should music schools play in ensuring a brighter future for arts culture in general? What leadership processes for shifting institutional culture have been successfully pursued by music schools? More than just an opportunity to dream, presenters shared actual 21st century models that are currently being integrated into music schools around the country. Then teams of participants designed and present initiatives/processes worthy of consideration by contemporary, forward-looking programs and individuals. This summit attracted a wide range of participants including administrators, students, and faculty from all music disciplines (applied, ensemble directors, academic faculty, music education, music business). Beyond learning from one another, one objective of the summit was for attendees to return to their institutions with actionable goals and a process for realizing them. A second one was to lay the groundwork for future summits or further formal exploration of the necessities of change for music units of the 21st century. Each of these 24 BIG Ideas describes a learning objective that may be valuable to 21st century music students. Of course, no program can do justice to them all, so how might your institution become a leader when addressing a few? Each of these 24 BIG Ideas focus on innovate approaches that connect one or more 21st century learning objectives to traditional music school requirements. How might even the most traditional of activities be re-framed to better cultivate desirable student outcomes such as those articulated in the previous section? The 2016 CMS Summit: Shaping Institutional Expectations for National Benchmarking of Faculty and Music Unit Accomplishments was held Saturday and Sunday, January 16-17, 2016, at the Adolphus Hotel in Dallas, Texas. Many college and university-level music units, as well as units in the other arts, have been challenged and even damaged by the demands made from central administrations and external forces for data-based assessments and comparisons. The purpose of the Summit was to develop an approach alternative to such sources as Academic Analytics, which does not purport to evaluate performing arts, even though they provide analyses of non-performance, non-creative aspects of arts units. music’s power to change behavior and influence individual and collective ways of being. 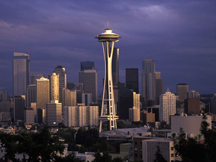 The NAMM Foundation provided support to the Summit, the University of Washington co-hosted the gathering, and participants were welcomed in from 15 states, including those from all professorial ranks, graduate students, post-docs, and independent scholars. The brilliant works of keynoters Ian Cross, Laurel Trainor, and Steven Friedson set the wheels in motion for considerable exchange on music in education, training, health-and-welfare, ritual and spiritual practice. 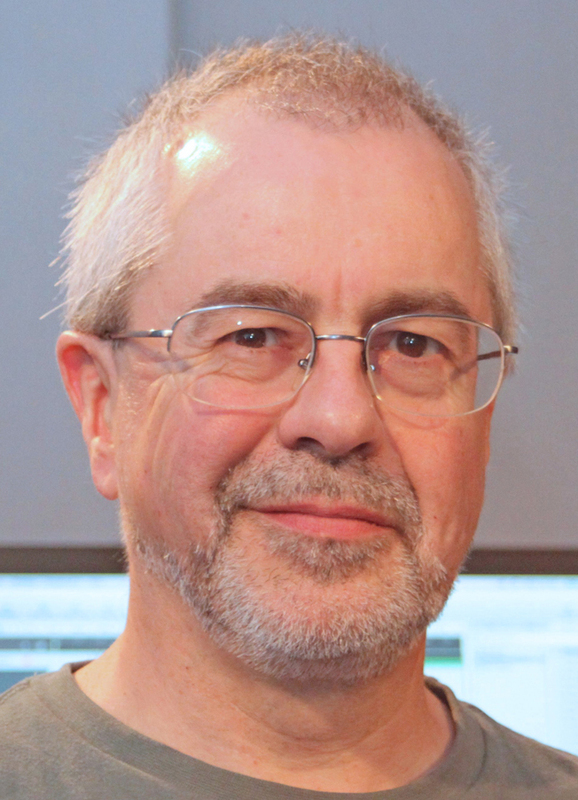 Ian Cross raised issues concerning the biological and cultural bases for human musicality. His 2012 article on cognitive science and the cultural nature of music (Top Cognitive Science 4:4: 668-77) suggested that music should be studied in the broad spectrum of world cultures in order to identify potential commonalities as well as to illuminate the relationship of music with other domains of thought and behavior. Taking the lead of Ian Cross and articulating the essence of their own considerable research, Steven Friedson and Laurel Trainor offered Summit participants rich insight into the manifestation of human musicality among infants and toddlers (Trainor) and within long-standing rituals of the Tumbuka in Malawi and the Ewe Ghana (Friedson). Friedson pressed further in indicating the extent to which music has been turned upside down in some cultures by way of its use in interrogation practices. The Reading List provided by the Summit keynote speakers will be found here. For CMS members, multiple messages were made clear: (a) recognizing music’s pan-human presence and need, (b) asserting music’s power and influence from cradle to grave, (c) taking seriously the scientific work that is building on human musical thought and behaviors, and (d) connecting the dots between music-and-science (and between research, policy and practice). In our teaching, and in our advocacy for music in higher education, in schools, and out in the community, students, colleagues, and the public sector will be well-served by attention to the research of Cross-Friedson-Trainor on the phenomena of music as deeply woven into our biological and cultural selves. Session moderators facilitated Q/A sessions and small-group discussion. Over 20 posters were exhibited by participants engaged in relevant research, and ideas were advanced for future research and practice on aspects of what happens (in cognitive, social-emotional, and neuromusical ways) when we engage in the musical experience as listeners, performers, and composers. For a printable copy of the program book for the 2014 Summit, please click here. Look for further developments from the 2014 CMS Summit, including publication of research posters in College Music Symposium and conference sessions (regional, national, and international). The door is open for CMS members to engage in music-science research, as well as in the integration of findings into our professional lives. Joy and Wonder—these two keywords emerged as recurring themes during the 2013 CMS Summit, "Developing the Artist Citizen," which took place January 19-20 at Southern Methodist University's Meadows School of the Arts in Dallas, Texas. The Summit's forty attendees included faculty, students, people outside academia, and administrators. We enjoyed remarks from ten fine presenters that inspired, informed, and challenged us. The presenters and schedule appear in the accompanying program. Our "A-list" of artist-citizen presenters revealed cogent insights into the concept of an artist citizen and its realization. We learned a great deal about why this work is important and how it can be accomplished. Attendees experienced one impressive instance of artist-citizenship in action when Eric Booth worked with the Altius String Quartet, comprised of graduate students at SMU, at East Dallas's Pleasant Grove Branch Library in a "Very Open Rehearsal." Keynote addresses on the "why" of artist citizenship provided a theoretical framework. Juilliard President Joseph Polisi offered a myriad of cogent insights, among which was the astute observation that no dividing line exists between artistic excellence and social consciousness. Noted author and speaker Eric Booth challenged us to re-label our business card titles to read "Agent of Artistic Experience." Jonathan Martin, President and CEO of the Dallas Symphony, asked, "How do we become community service organizations disguised as orchestras"? Practitioners of artist citizenship told us their own stories and offered practical insights into how they do what they do. CMS's very own Donna Emmanuel (who organized the 2011 Summit on Community Engagement and teaches at the University of North Texas) inspired us with her work with mariachi in the North Texas area and, importantly, encouraged us to leave our comfort zones. Kevin Bott, Associate Director of Imagining America, gave a stirring presentation of his "D.R.E.A.M. Freedom Revival," a tent-revival-style musical theater piece. Kevin also challenged us to reclaim the "civic and democratic purpose of higher education." Gigi Antoni, CEO of Dallas-based Big Thought, an organization whose mission is "to make imagination a part of everyday experience," told us of truly transformative work taking place in the Dallas Area. We ourselves were transformed through the wisdom of Yale School of Music Dean Robert Blocker. His presentation on "Whatever Happened to Wonder" was pure poetry in terms of content and delivery. SMU Meadows' Dean José Antonio Bowen offered practical advice on how we ourselves can enact transformation through his ideas on values, structures, curriculum, and culture. His Venn diagram showing the overlap of "Make Art," " Make Money," and "Do Good" revealed a wonder-filled "artistic sweet spot" where the three motivations coalesce. The Summit had a twitter presence, with the hashtag #cmss2013. Several attendees tweeted during the Summit to let the wider world know of the marvelous things taking place in Dallas. What next? The Summit generated content that can be used to create a truly useful and dynamic resource on "Developing the Artist Citizen." This Summit was an important investment for CMS in terms of theme, time, energy, and finances. Now that we've made the investment, we need to find ways to disseminate the tremendous yield. Special thanks go to our hosts at SMU, Meadows Dean José Antonio Bowen and Division of Music Chair Sam Holland. Jay Hengst, Director of Facilities at the Meadows School, was marvelous in helping with practical arrangements. Big Thought was responsible for organizing the dynamic Saturday afternoon excursion, and special thanks go to LeAnn Binford for her Herculean work in finding a venue and audience on a holiday weekend. The Summit Steering Committee provided valuable and vital input concerning the content and format of the Summit: Patricia Shehan Campbell (University of Washington), Karen Fournier (University of Michigan), Tayloe Harding (University of South Carolina-Columbia), James Perone (University of Mount Union), Cynthia Crump Taggart (Michigan State University), Tom Tunks (Southern Methodist University), Peter R. Webster (Northwestern University, emeritus), and David B. Williams (Illinois State University, emeritus). On a personal note, I want to publicly thank Dave Williams for asking me to chair the Steering Committee and for the gracious support of Robby Gunstream, Peter Park, and Pat Campbell in this endeavor. Rob Cutietta (University of Southern California) started us off with a dynamic opening keynote address that challenged everyone to consider the relationship between music industry and academy from new perspectives. We are pleased to present the address as part of this report and urge all CMS members to consider carefully the ideas presented by Dean Cutietta. Mary Leuhrsen (NAMM) welcomed us and talked about the importance of the education sector to the music industry. Tayloe Harding (University of South Carolina) followed with a discussion of the importance of music industry in educational success. We enjoyed panel discussions on academic/industry partnerships in recording, retail, hardware product development, and software product development. Henry Panion (University of Alabama in Birmingham) gave the keynote address on the second day, personalizing the journey from academia to industry to academia. Judith Coe (University of Colorado at Denver) and David Cutler (Duquesne University) led complementary discussions related to the skills that all musicians need to succeed in the 21st Century. Steve Marconi (William Patterson University) led us through the NASM guidelines for music business programs. Peter Webster (Northwestern University) talked about the broader mission of "Getting Music Students and the Industries that Serve Them in Tune With a Future That We Can Only Imagine." Michael Millar (California State Polytechnic University-Pomona) challenged us to think about the next steps going forward. Interspersed throughout the proceedings were small-group breakout sessions in which everyone contributed their responses to the various topics covered.